Visiting the Gold Coast for Aida on the Beach? Check out these ideas to make the most of your trip to Queensland. 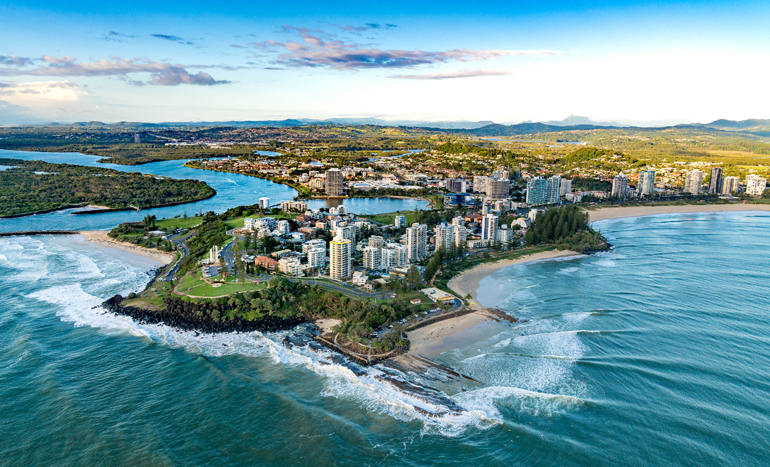 Whether it’s surfing, swimming or simply sunbaking, the Gold Coast offers 21 patrolled beaches along its 57 kilometres of pristine coastline. For those who love nature, head inland to the Hinterland brimming with walking tracks, rock pools and waterfalls. An aerial view of the Gold Coast. There’s a range of things to do in Australia’s capital of fun. Away from the bush and the beach, spend action-packed days at the world’s best theme parks, each with their own distinct personalities, stroll through tourist shops or high-end stores, enjoy the vibrant nightlife and indulge in a variety of entertainment. Attracting world-class chefs, you’ll find incredible dining in this destination. There’s no place like Queensland when it comes to combining Australia’s headline events with the most incredible destinations. From food and wine; festivals; art, culture and music; to sporting and lifestyle, Queensland boasts a great event calendar.